Actress Jenny McCarthy had a bit of a supernatural encounter this week, sort of. After checking herself out in the mirror in a room she believed to be otherwise unoccupied, she heard a little ditty play. Noting there was nobody sitting at the nearby piano, the renowned science skeptic proceeded to freak out, calling for her husband to let him know what was going on. Thankfully, she had a Nest Cam set up in the room, from which she promptly pulled the footage to post online as proof that her house is "HAUNTED!" The majority of Facebook commenters seem to agree with Jenny's assessment that the spirit of a dead person was possessing her piano, with at least one claiming to have actually seen a ghost in the video. Another suggests hiring a medium. Here's the clip, but be advised — it's super spooky. HAUNTED! Just happened in my house! I had to look at the security tape to prove it. Ahh!! "Donnie? Someone just played the piano." Chilling. Of course, Jenny McCarthy's house is not haunted. 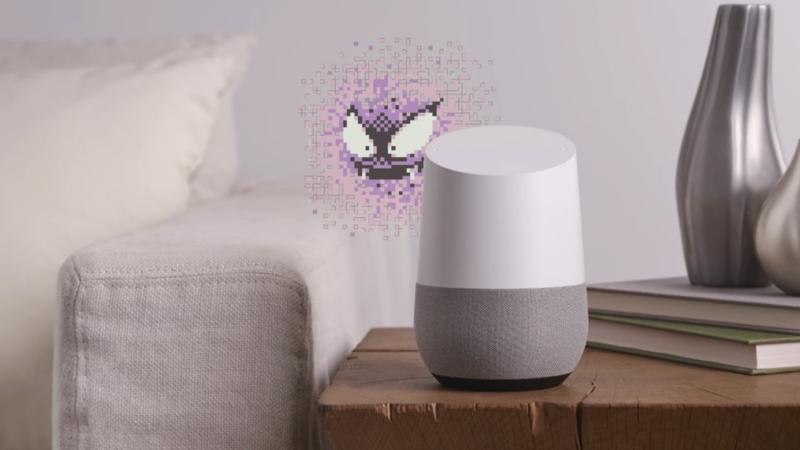 Astute viewers recognized the otherworldly tones as the jingle Google Home plays when it starts up. Apparently Jenny's rebooted itself, and, never having witnessed such an event before, her immediate reaction was to assume it was ghosts. Naturally.